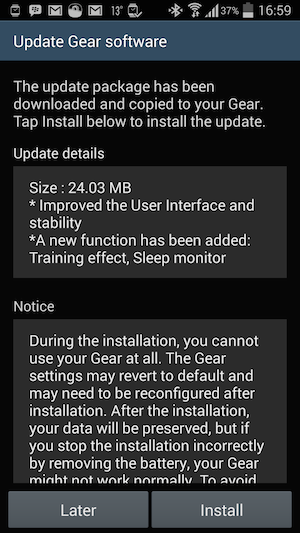 Samsung are “Gearing” up for their big Tizen Samsung Gear 2 release tomorrow, by releasing their official Over The Air (OTA) updates to the Gear 2 and the Gear 2 Neo, bringing them both to OS R381XXU0BND8. This now includes a “Sleep” function that you can use to analyse your sleeping patterns 🙂 No changelog has surfaced as yet. As hoped, the anticipated update for their Gear Manager application was also released, taking it to version 2.0.14040401. 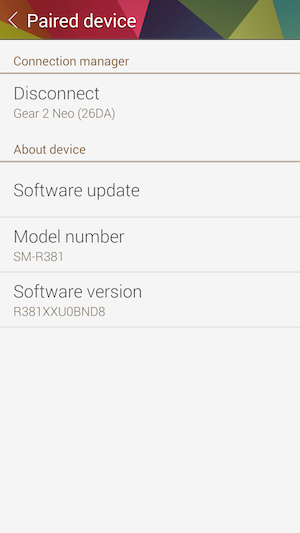 This brings with it the ability to connect to the Samsung Galaxy Note 3 and hopefully we should not need any workarounds. 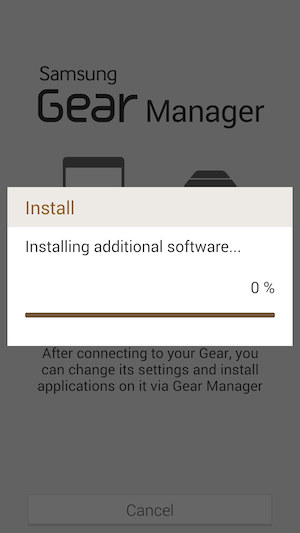 Fitness with Gear is now integrated into Gear Manager, and you can also Synch your data with your Online Samsung account, after you accept some new terms and conditions. Other Gear app have been updated to Glympse 1.13, Feedly 2.2, Flick Dat 2.1.6 and Dacadoo 2.6.0 amongst others. 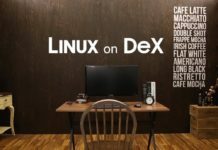 Its early days to see how nicely all these updates play with each other, but hopefully they add to an already interesting Smart watch experience. 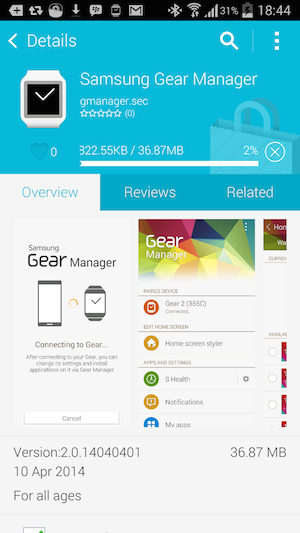 You can get the new gear manager application by launching the Samsung Apps application or browsing to http://apps.samsung.com/gear2 directly from your mobile device.